Penn Quarter is the neighborhood that runs north of Pennsylvania Avenue, south of Mount Vernon Square, between the White House and I-395. The closest Metro Stations are Gallery Place/Chinatown and Archives-Navy Memorial. There is some street parking available in the area, but this is a busy part of town in the heart of the city and spaces fill up quickly. 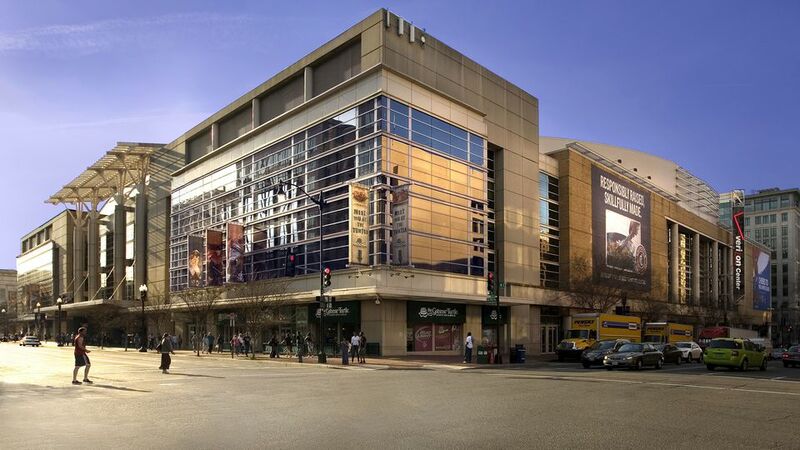 Capital One Arena: DC's largest sports and entertainment arena hosts year-round events for all ages. National Portrait Gallery & American Art Museum: The Smithsonian museums highlight a variety of artwork. International Spy Museum: The museum focuses on espionage and has programs for all ages. Madame Tussauds Wax Museum: The museum displays wax figures of iconic figures in history and pop culture. Gallery Place: The complex houses stadium-style movie theaters, a bowling alley and several restaurants. Washington Convention Center: The city's conference center hosts a variety of public and private events. Chinatown: The historic neighborhood is home to dozens of Asian restaurants. US Navy Memorial: The memorial pays tribute to the U.S. Navy. Marian Koshland Science Museum: The small museum offers a variety of hands-on science displays and activities. National Museum of Women in the Arts: The museum displays a variety of artworks by women artists. National Building Museum: The historic building displays exhibits on architecture and the building arts. Warner Theatre: The theater offers a wide range of live entertainment. Shakespeare Theatre: Theatre-goers enjoy Shakespearean themed works. National Theatre: Broadway-styled shows are performed throughout the year. Ford’s Theatre: The historic property where Abraham Lincoln was assassinated serves as a museum and a theater. Woolly Mammoth Theatre: The black box theater offers independent plays. E Street Cinema: The movie theater specializes in independent films. Ronald Reagan Building and International Trade Center: The building houses international trade offices, a conference center and a food court. This part of Washington DC has many fine restaurants offering a wide range of cuisine from contemporary American to Asian Fusion, to Italian or Latin American fare. There are plenty of places to stay near Penn Quarter. These hotels are located within the neighborhood itself, and you will also find many other Downtown DC hotels within walking distance. Downtown DC Holiday Market in December.